Hungry? 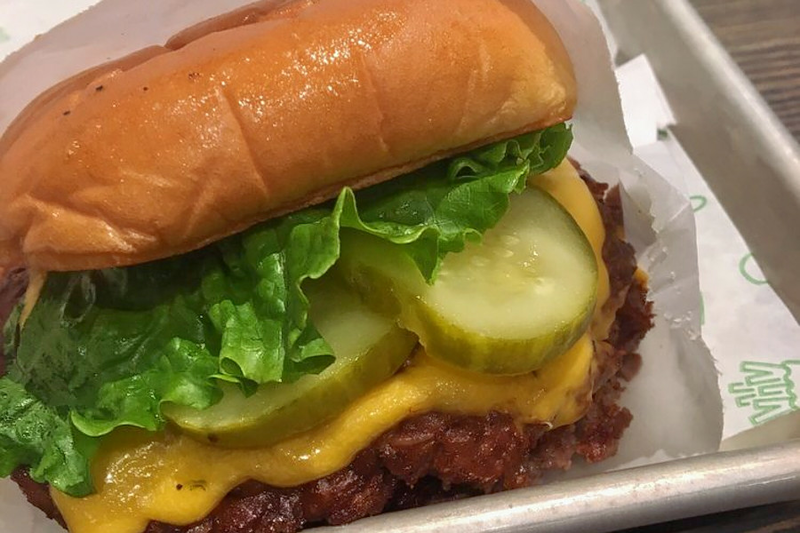 Fast-casual burger spot Shake Shack has you covered. The fresh arrival to Midtown Village is located at 105 S. 12th St., Unit 1-01. This is the chain's fourth outpost in Philadelphia. On the menu, look for offerings like a single or double ShackBurger cheeseburger topped with lettuce, tomato and ShackSauce; a SmokeShack burger with applewood smoked bacon and chopped cherry pepper; and a fried portobello mushroom burger, filled with melted Muenster and cheddar cheeses. Hot dogs, a chicken sandwich and shakes are also available. With a 4.5-star rating out of four reviews on Yelp so far, the new arrival is on its way to developing a local fan base. Lauren S., who reviewed the new spot on Oct. 24, wrote, "The burgers were fresh as always and I tried a vanilla milkshake, which was solidly good." And Karim H. wrote, "Great location. Interior is nice with electronic kiosks for self-ordering. Takes about 10 minutes to get your food." Shake Shack is open daily from 11 a.m.-11 p.m.